Logic expert and Dutty Artz label owner Matt Shadetek introduces the concept of self-similarity and discusses how it can help you define your own sound. In this article, I’d like to introduce a concept called self-similarity which deals more with the artistic component of making music. Basically, the concept focuses on how to develop your own ‘sound’ that people can easily identify just by hearing the style and sonics of your music. An example of someone who has utilized this concept throughout their career is the massively prolific grime MC and producer, Wiley. He’s one of my favorite artists from the grime scene, both behind the mic and on the buttons. His productions are bold and unique, and so is his MC personality. He is an artist with an outsized persona who also has a great deal of both personal and stylistic courage. I have no idea how many beats and songs he has released, but it’s definitely in the hundreds in the past decade. One way he accomplishes this is by re-using a lot of the same sounds and samples. For example, he can finish a riddim, save the project as a new copy, delete the MIDI data, and then start again using the same sounds. Wiley has also used this method to develop a very recognizable sonic signature by using his signature wood-blocky massively compressed snare on so many different tracks. Finish a track, save the project with a new name and then delete all the notes, patterns, and melodic phrases. Be careful not to hit save and overwrite your previous song without changing the name. Now, write a new song in a new key signature, maybe a new tempo, and re-use the same sounds. You’ve already spent a lot of time gathering and making these sounds, so they’re probably pretty good. Next, focus on creating melodies, beat patterns, and musical ideas rather than sound design. Obviously, in the course of the track, you may end up adding some new sounds, changing existing sounds, etc. but the point is you will have a nice palette to start with. The second strength of self-similar production is that by doing this a few times and releasing the results, people will start to hear similarities between your tracks. In return, if they like them, they will often be happy to hear more of the same. Another use of this technique is to make several songs using a good sound palette, and then choose the best one or two to release. For example, choose two that sound similar but are different enough to stand apart. There is a fine line here between creating a sound for yourself and being repetitive, and this is where the controversy may arise. Obviously, many people, especially people who are into sounds more than songs, may complain. It’s up to you, in this case, to find an artistic balance here between similarity and variation. Maintaining a certain self-similarity in your own output can help people, both listeners and DJs to understand your work. Having a defined and somewhat consistent sound and vibe throughout will draw fans in when they are looking for that particular sound. For example, if I am in a record-shop looking for a specific type of sound such as interesting, weird hype grime, I will definitely check out Wiley’s new releases because I’m familiar with his sound and know he may have what I’m seeking. Another example of someone who uses this concept in both production and songwriting is Terius Nash, aka ‘The-Dream.’ He is another artist I find very inspiring. As a producer/songwriter his shiny, heavily processed, cotton candy R+B is immediately recognizable. Again, in this case, it can be both a strength and weakness. However, someone like The-Dream, who made his initial mark as a behind-the-scenes artist, can guarantee that when his clients shop for a single at his company Radio Killa, they can be confident knowing that they would get a certain type of track that will probably set the charts on fire. Matt Shadetek is one of New York City’s most exciting producers. His live sets encompass contemporary Dancehall, UK Funky, and Dubstep, all delivered with Shadetek’s unique production voice which bridges the underground-mainstream divide. He’s one of the rare DJs who can rock a crowd with sets composed solely of his own dancefloor bangers and remixes. Matt’s early love for Hip Hop and Dancehall along with edgy electronic sounds led to his Warp Records debut album Burnerism as part of the duo Team Shadetek. While Matt was living in Berlin and touring Europe, the followup LP Pale Fire was released, featuring the underground hit “Brooklyn Anthem”. The hit song kick-started a dance craze in the Brooklyn reggae scene (leading to over 100 fan videos of kids dancing to it). 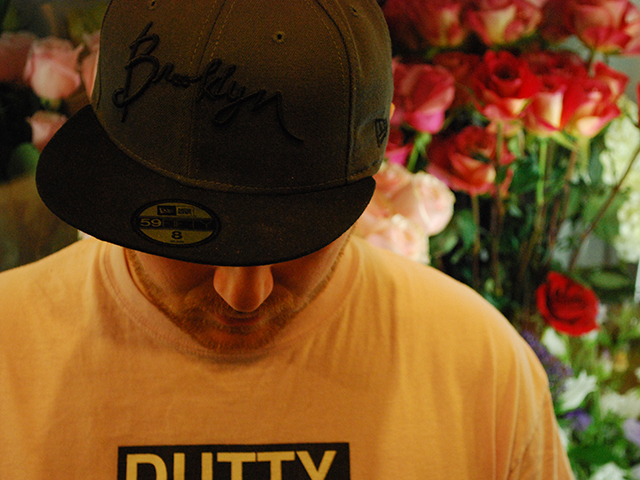 Returning to NYC, Matt founded the Dutty Artz label/production crew with DJ /Rupture. Shadetek produced Jahdan Blakkamoore’s debut album, Buzzrock Warrior (!K7), pioneering its signature Reggae-Dubstep-Rap sound. In 2009 he also teamed up with Rupture to release the mix album Solar Life Raft (The Agriculture). His latest release, on Dutty Artz, is Flowers, an effervescent solo instrumental effort that references dubstep, UK Funky and Garage. He has toured internationally both solo and accompanied by Jahdan as vocalist. Master Logic Pro X with our complete program. You’ll get a comprehensive overview of the composition process in Logic and create a portfolio that includes a collection of original tracks, a remix entered in an active remix contest, a re-scored scene from a film, and sound effects and music for a video game. Matt, you’ve been killing it with these tutorials. The process is so much harder than the technicals! Thanks for these. Man, Shadetek, you just keep getting better! I am one of those cats that has always felt like this is “cheating” for some reason. Why? I have no idea. Thanks for letting me know that this is a valid, productive practice.